Here is the Sensors FAQ, people can go here to find questions and answers for this kind of products. 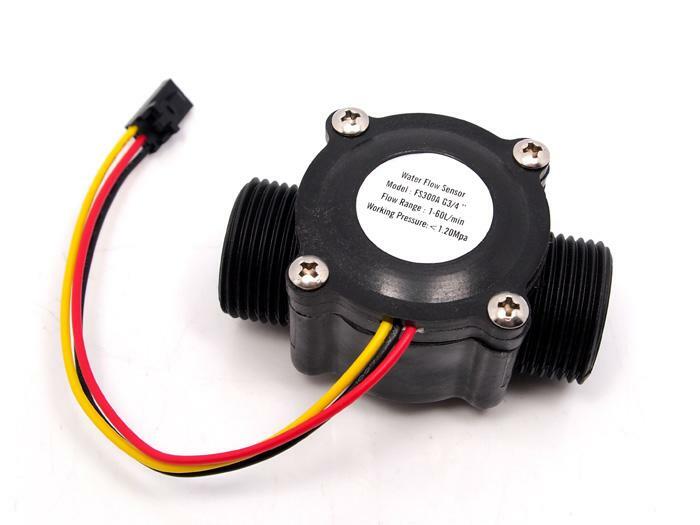 It's a pity that we don't have any demo about G¾ Water Flow Sensor in the Recipe yet. 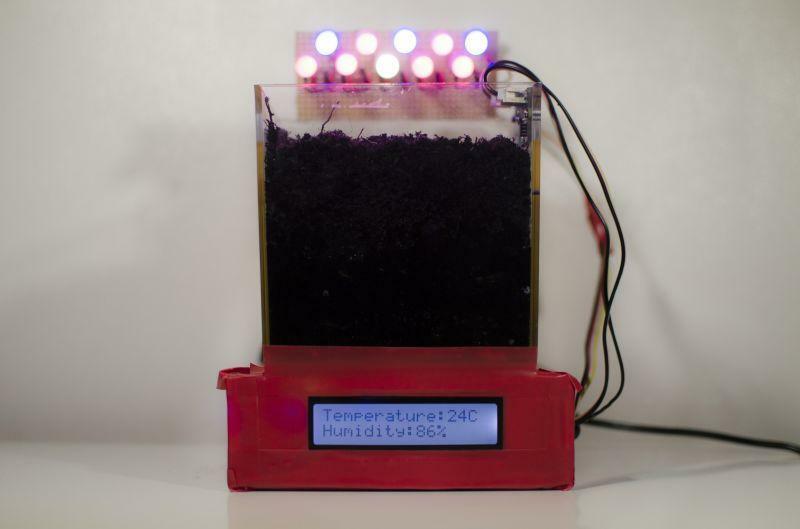 Here we introduce some projects about Grove-Water Sensor. 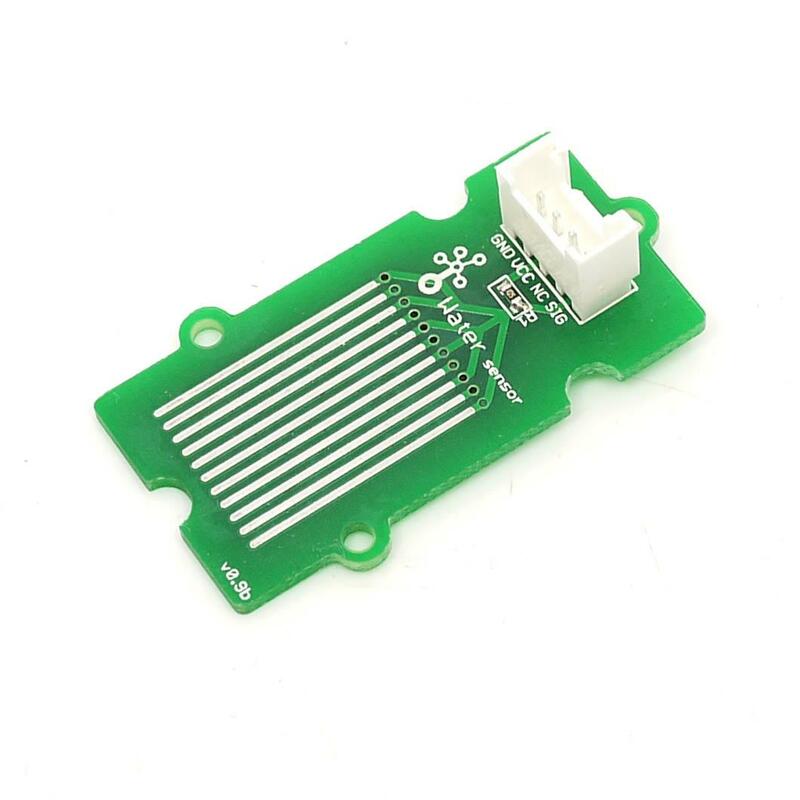 This water sensor module is part of the Twig system.You can use it with the analog pins to detect the amount of water induced contact between the grounded and sensor traces. It works by having a series of exposed traces connected to ground and interlaced between the grounded traces are the sens traces. The sensor traces have a weak pull-up resistor of 1 MΩ. The resistor will pull the sensor trace value high until a drop of water shorts the sensor trace to the grounded trace. 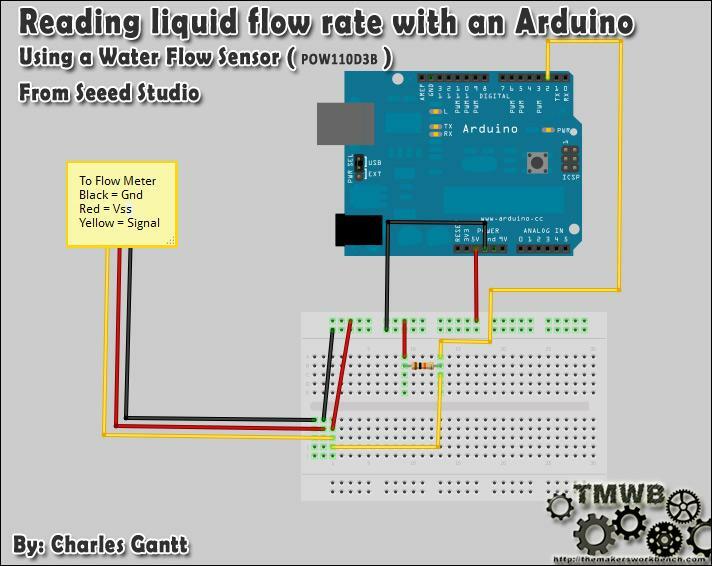 This circuit will work with the digital I/O pins of your Arduino. Send alert and activate a pump driver when water is under threshold. Supply the variation in color by 10 RGB LEDs. Born with the spirit of making and sharing, that is what we believe makes a maker. And only because of this, the open source community can be as prosperous as it is today. It does not matter what you are and what you have made, hacker, maker, artist or engineers. As long as you start sharing your works with others, you are being part of the open source community and you are making your contributions. Now share your awesome projects with us on Recipe, and win a chance to become the Core User of Seeed. Core Users, are those who show high interests in Seeed products and make significant contributions on Recipe. We cooperate with our Core Users in the development of our new product, this, in another word, the Core Users will have the chance to experience any new products of Seeed before its official launch, and in return we expect valuable feedback from them to help us improve the product performance and user experience. And in most cases when our Core Users have some good ideas of making things, we'll offer hardware pieces, PCBA services as well as technical support. Besides, further commercial cooperation with the Core Users is highly possible.